Don Pedersen waited until almost the last moment, but he finally decided to sign, according to The Los Angeles Times. The Tigers took Pedersen in the 40th round of the June 1988 draft. He signed with the club the next May. "I was keeping all options open," Pedersen told The Times then. "It just seemed like it was the right time to go." Pedersen played his first season as a pro that year. He didn't get much more. He returned to start his second, but saw his time limited and his brief career soon over. 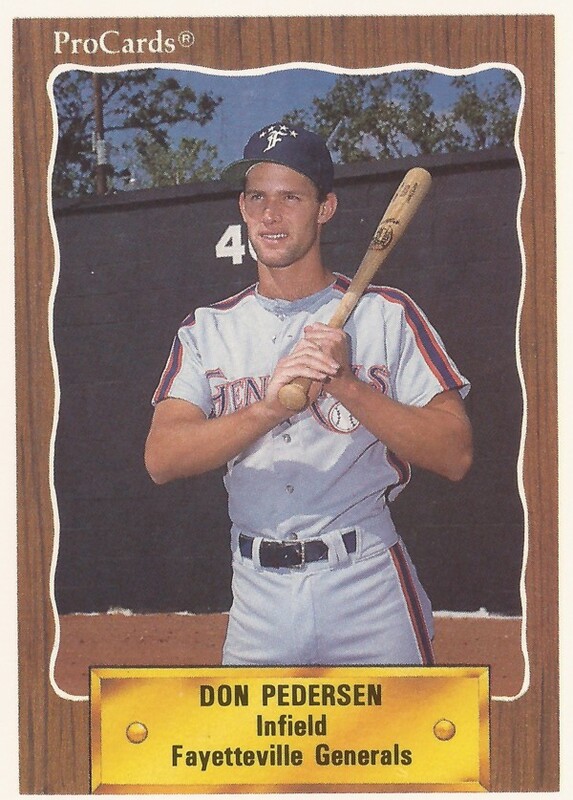 Pederson's career began that year in 1989, signing with the Tigers out of the College of the Canyons. He went to the college out of Saugus High. At the College of the Canyons, Pedersen hit two home runs in a February 1989 game. He singled and scored in a March game, knocked in a run on a single in a May game. With the Tigers, Pedersen started at short-season Niagara Falls. He got into 40 games, hitting .218. He knocked in 14 runs. He then moved to single-A Fayetteville for 1990. He got into 15 games, hitting .200, ending his career.